Prints and Products can be added to any package right from your gallery. Once your session is over and your images are ready you will receive your online gallery were you will be able to purchase any additional items. The Canvas Gallery Wraps come in multiple sizes and are 1.5 inches deep. 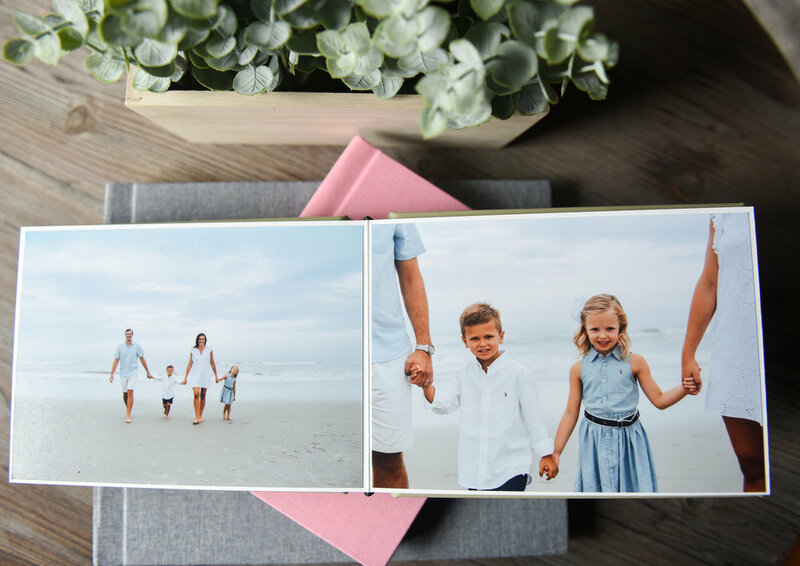 They are a perfect way to showcase your favorite images from your session. They are professionally mounted to a solid wood structure, which means they are guaranteed to never sag or warp. Although they are solid they are still light weight and easy to hang anywhere. The Essential album is a perfect way to showcase your favotire images from your session. The albums start with 10 images but more can be added if needed. You can choose from many cover options. The albums can be vertical or horizontal. The albums are 5x7 and 8x10. You choose your 10 favorite images, I then print them and mount them onto the thick pages. A print is tangible. Looking though a photo album is much different than viewing it on your computer. Plus a print that is on your desk or on your wall will be seen every day and remind you about that moment. These are the moments that make us happy. A print can be a gift. Literally the gift that keeps on giving every time it is looked at. A print is timeless. It will never go out of style and it will be a treasure for generations long after. Its part of your history and your legacy. I still look back at prints of my Grandmom and relatives that I never even met.